Imperfectly Painted: Vote for the Best of 2012! I did the "Best of" poll last year, and everyone really enjoyed it, so I'm doing it again! -I tried to condense this as best as possible. It would of be impossible for me to include all the indies, and every collection released, so I tried to pick what I felt were the most popular. -The "Best Handmade Indie Brand Nails Polish in 2012" list was comprised of the 6 most mentioned brands from the Handmade Indie Poll I had up last month. -Please do not over think this.You do not have to own these collections to be able to vote. Please just make a selection even if you don't have an absolute favorite.... pick the next best thing. This is all for fun! -The last question about "What is your favorite nail polish released in 2012? ", I have left optional. You are not required to answer this question. I know it's hard, but if you can, please try and name one. I will be making a list of the Top 10 polishes with the most mentions when I calculate the results for the rest of the poll. -Please share poll with your friends if you can! You have until Tuesday, December 18th to vote. You may only vote once. 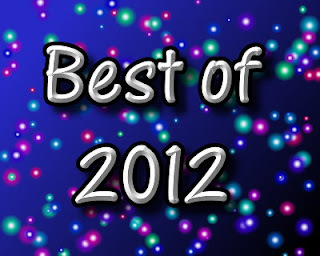 On Monday, December 31st, I will post the results of this poll along with my personal picks from the year. Great poll, can't wait to see the results! I'm so excited to see the results! Fun stuff =]! Can't wait to see what everyone thinks! Looking forward to the results :).